Dermatitis is a common skin condition, especially in children, and can be alarming when it first flares up due to its rather unpleasant symptoms. Otherwise known as Eczema, Dermatitis can be a debilitating condition that not only causes skin irritation, but can be extremely bothersome for younger children. Or adults, it can be a source of embarrassment and can damage their self-confidence. Children regularly experience dermatitis within the first year of life, and it can be extremely itchy for the child which will cause incredible discomfort. Constant scratching of any dermatitis infection can cause it to become worse and require hasty treatment to avoid a more significant flare-up and potential spreading. At Dr. Shalhub M.D, we offer solutions for both adults and children to help remove this irritating and horrible condition for the long-term. For some, there is no long-term cure but it can be alleviated massively with some basic lifestyle changes. CURE DERMATITIS TODAY! MAKE AN APPOINTMENT NOW! 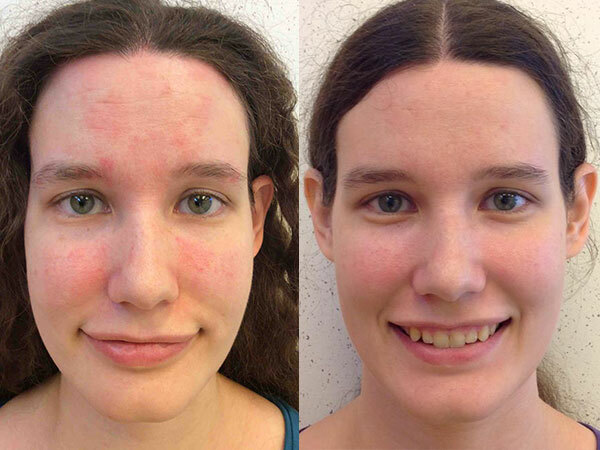 We help you beat dermatitis through our advanced and cutting edge treatments. The amount of people who suffer from Dermatitis had steadily increased for the last thirty years, and this can be attributed to a variety of reasons. From the environment that you live in to genetics (family member who suffered from dermatitis or asthma can increase your chances) can be the main cause for dermatitis. Although it’s not contagious, it does run in the family and can be greatly exasperated simply due to this fact. It’s a condition that roughly 20% of children around the globe suffer from, and whilst it’s not serious or life-threating in any fashion it can be uncomfortable to live with. Another root cause for many people in their eczema is allergies to certain foods. If this is the case, you should pay close attention to what they eat as it could be the root cause of the Dermatitis in the first place. Dr. Shalhub M.D provides a variety of solutions to deal with dermatitis depending on the age of the patient, as well as the severity of the condition. While no long-term cure is available for Atopic dermatitis, a form of the condition, it can be brought under control mostly and made free of infections to reduce its symptoms and any of the pain or itchiness that can come from the condition. Medicine, skin care and lifestyle changes are the most powerful ways to treat Dermatitis. By helping to stop the conditioning from worsening with topical treatments and lifestyle changes, you can reduce the severity of the condition.